Accessories for BodyUp Evolution Transfer Lift Chair BUY Stabilization Straps, Comfort Cushion, Commode Cushion, Replacement Parts, BU-03, BU-05, BU-09, BodyUp Evolution Accessories. 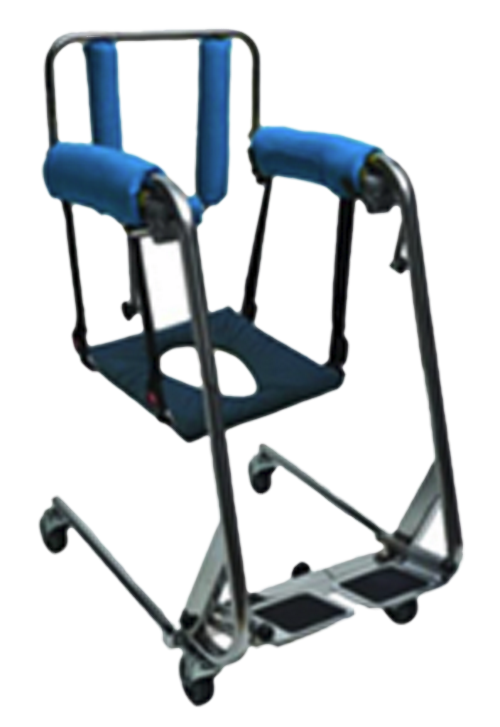 Accessories for BodyUp Evolution Transfer Lift Chairs include the Stabilization Straps, Comfort Cushion, and Commode Cushion. These BodyUp Evolution replacement parts and accessories are a combination of OEM products from Veziris Healthcare made with quality materials to be strong and durable. 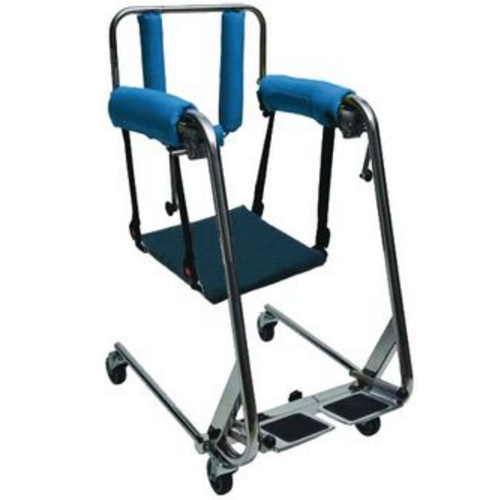 Another handy accessory from Drive Medical is the Wheelchair Table Tray that easily attached and allows the Body Up Lift to have a desktop style tray to serve for eating or work space. 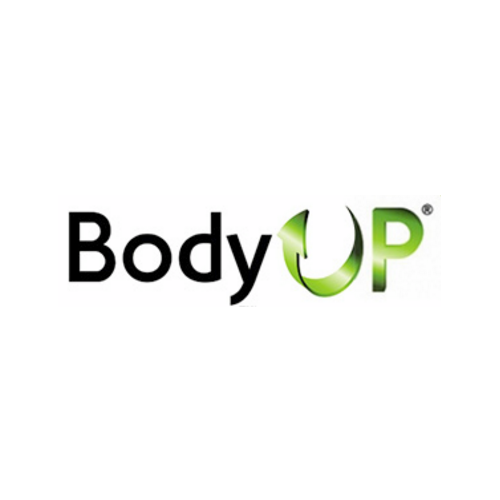 A short summary of each accessory for the BodyUp Evolution Transfer Lift Chair is provided below. 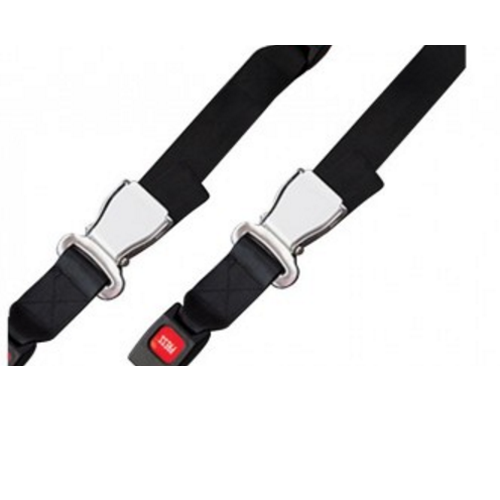 Stabilization Straps BU-02 come with a quick release button with the same design as used with seat belts. 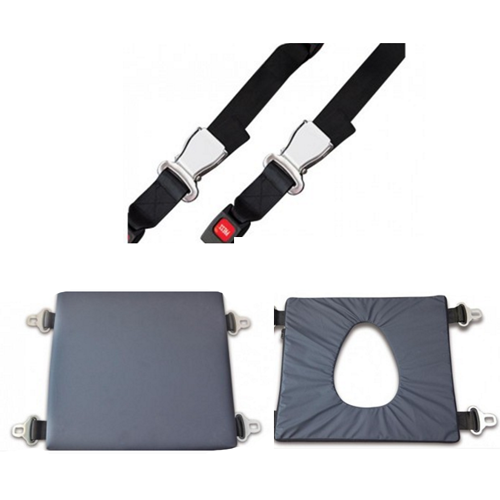 These Stabilization Straps are used with the BodyUp Evolution lift sling to keep the lift patient safely centered on the sling. These optional stabilization straps secure the sling to the patient until they are maneuvered in a position to be lifted. 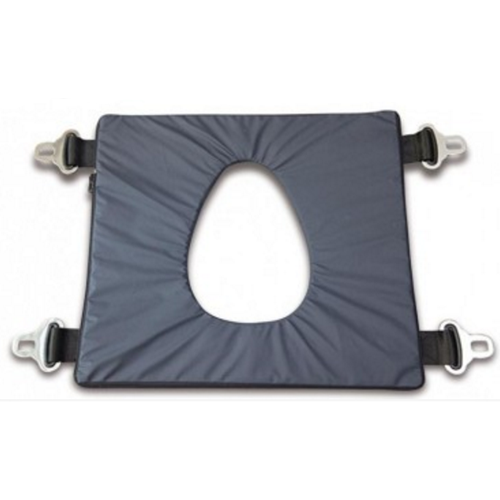 Comfort Cushions BU-09 features a polyurethane gel layer and a layer of expanded foam to reduce weight bearing and offers additional comfort for the lift patient. Adding the comfort cushion to the Body Up Evolution and convert it to a comfortable, transport wheelchair for indoor use. Additionally, the Comfort Cushion may be used as a manual Wheelchair Cushion, power wheelchair cushion, or car seat for a more comfortable ride. 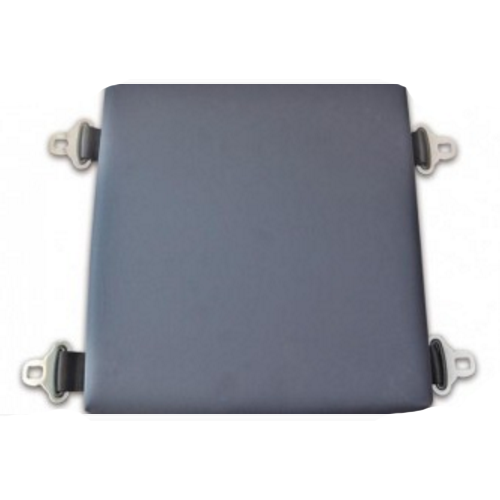 Commode Cushion BU-05 serves as a bath, shower or toilet cushion accessory for lift patients using the BodyUp Evolution Transfer Lift Chair. The Commode Cushion is made with silicon gel and is 16.5 x 16.5 inches square. 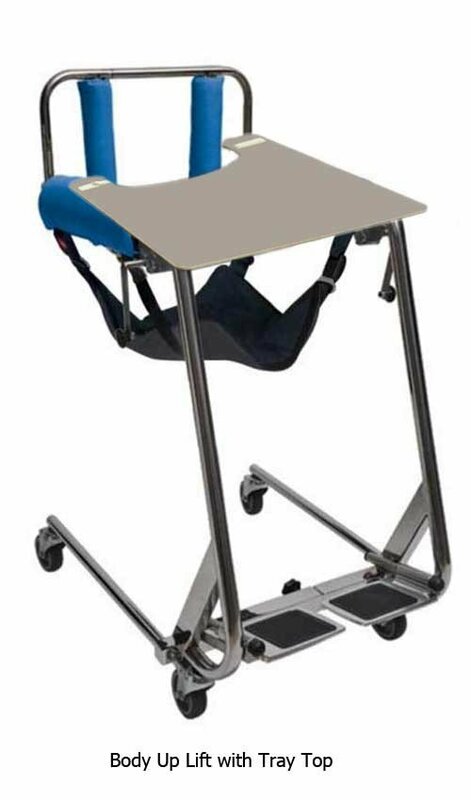 Wheelchair Tray STDS5050 easily attaches to the arm of the lift chair and is useful for eating, reading, writing and a host of other activities. This tray serves as both a destop and a tabletop for added convenience. This cushion came apart at the front seam with only a few uses within 5 months. Too much trouble to get person off the regular seat, then remove clothing, put potty cushion under them then on to the potty and do it all over again to put the person back to the regular seat. I am pleased with the seat. It is made of durable material and works very well with my elderly mother. The product had an exposed cranking mechanism on one side. The seat was uneven in the raised position. It does not allow for height adjustments for transferring into a vehicle.